The first time I heard Maren Morris, I knew she was a superstar. It didn’t matter that the only music from her on Spotify was a five-song EP, or that her breakout single “My Church” was still months away from actually breaking. It only took one listen to the luxury-car-sized hook on “80s Mercedes” for me to know that Maren would eventually be all over the radio. It was only a matter of time. Fast forward three and a half years and Maren Morris is a veritable household name. Her debut album Hero was one of the biggest crossover country LPs of the decade. She scored a number one country hit with “I Could Use a Love Song.” She guested on smashes by Thomas Rhett (a country star) and Niall Horan (a pop star), and even opened for Horan on a massive-venue tour. And then, in 2018, she did what none of her country star contemporaries this side of Taylor Swift have done: she scored a number one hit on the pop charts. “The Middle,” a collab between Morris, record producer Zedd, and the duo Grey, was an odd coming-out party for Maren. On the one hand, her powerhouse vocal is the thing that really sells the song—which, as written, is serviceable but not great. On the other side, Morris was hitting the big time on a pop song that she hadn’t had a hand in writing—not what you’d expect from a Texas country girl who cut her teeth writing songs for other artists in Nashville. Unsurprisingly, the song forced a debate: would Maren Morris stick around in country music, or would she follow Taylor Swift’s footsteps and pivot into pop? GIRL, her long-awaited sophomore LP, splits the difference in how it answers that question. If you’re a die-hard country fan, it probably sounds like a pop record. If you spend most of your time listening to Top 40, you’ll hear plenty of country elements in the songs—especially the first half. I wrote this song 3 years ago, recorded it last year with Vince Gill, and always have fans asking when I’ll put it out. I never knew when would be the right time, but I realized today that there’s never a right time. Hate is everywhere, and I’m sick of not doing enough. In the darkest tunnel, there is still love & music. That’s what it’s here for. Here is Dear Hate. Any cent I see from this I’m donating to the Music City Cares Fund. Craig Manning reviews 'GIRL,' the second major label studio album from country artist Maren Morris. 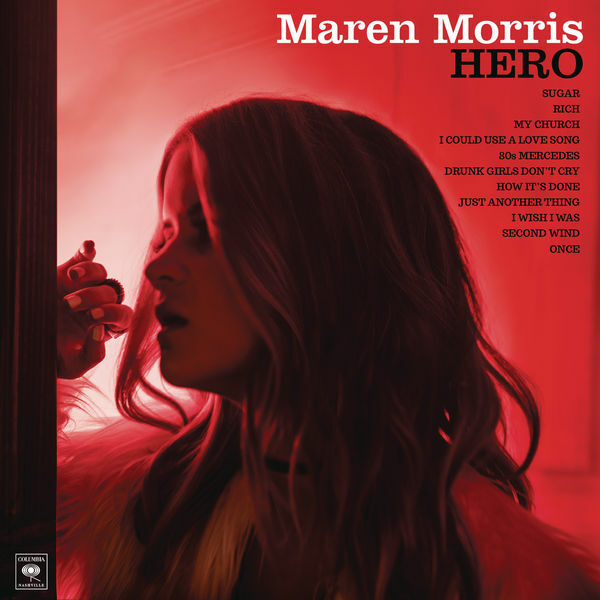 Craig Manning reviews 'Hero,' the new album from breakout pop-country star Maren Morris.